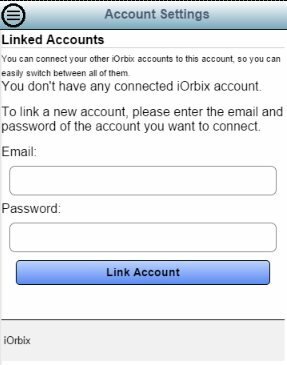 You can now connect all your iOrbix accounts, so you can easily switch between all of them. 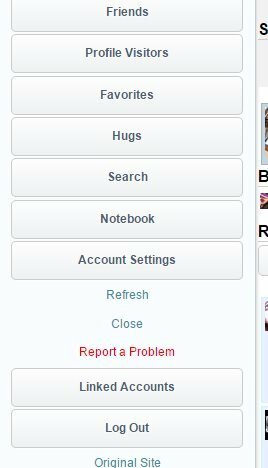 This makes it easier for our Fictional profiles, since users usually have several accounts, one for each character they play. All these days, every time the user wanted to switch an account, they had to logout and type the email and password of the other account. We understood that is very annoying, especially on Mobiles, so we introduced the Linked Accounts feature. To use this feature, all you have to do is type the email and password of the account you want to link, and after that you can switch to that account by just pressing "Log In". Please just be sure you have a strong password on all of your accounts, otherwise if some bad person enters in one of your accounts, all your linked accounts would be compromised. In my opinion I don't agree with someone who have more than 2 accounts, 1 Fictional and 1 Real is more than fair. Someone with more 2 accounts I consider clone, you should do a limit to connect accounts. Users with more than two accounts aren't harming anything on iOrbix and they are just having fun. We learned that fictional users like to have an account for each different character they play, so we just have to allow that. It wouldn't be good for iOrbix if we forced every user to have only one fictional account. We wouldn't be fair to them. And I can see your/their point now, nothing to appoint then.